This allows you to join any of their clubs and purchase discounted passes to their sporting facilities. Annual membership costs $50 for students, $65 for non-students and $25 for Juniors. You can join SUSF online or in person at ﻿The Arena sports centre﻿. 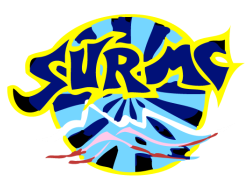 Question: Why can't I just join SURMC without being a member of SUSF??! SUSF provides insurance for club members. SUSF provides the club with funding. SUSF provides the club with administrative support. SUSF supports the Ledge, which is SURMC's spiritual and physical home. Joining the club costs just $40 per year. Visit us at our stall during Sydney University O-week or come along on a Wednesday night to The Ledge - whoever is working behind the counter will be able to process your membership for you! Ask a member of the club executive to sign a membership card for you at the Ledge. You will need this card to receive our discounts, and trip leaders and locker key holders may ask for your card as proof of membership. 3. Learn the ways of SURMC.